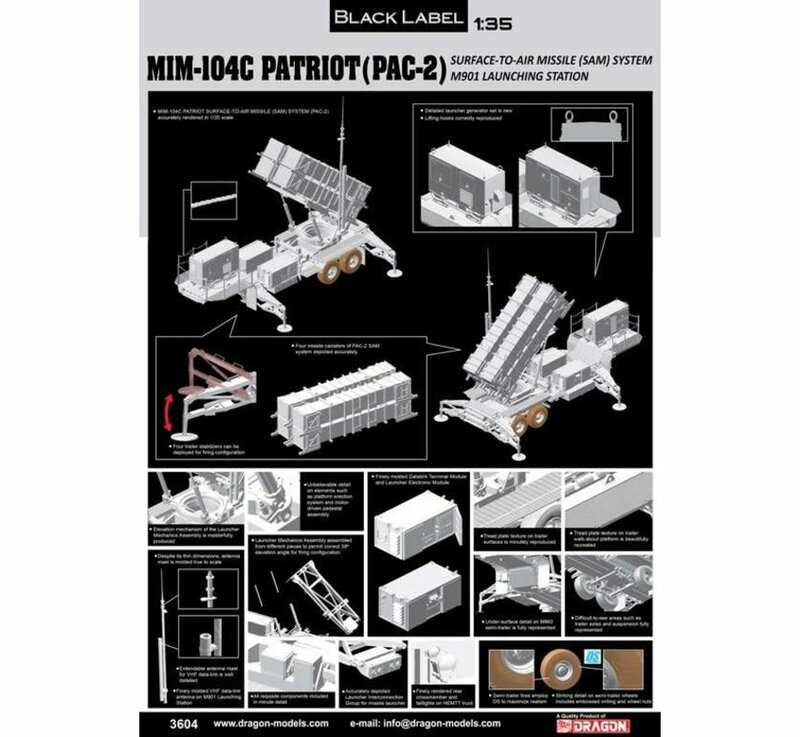 Box Size: 13" x 20.9" x 3.9"
Dragon’s Black Label series has previously released 1/35 scale kits of the well-known American Patriot PAC-1 and PAC-3 air defense systems. 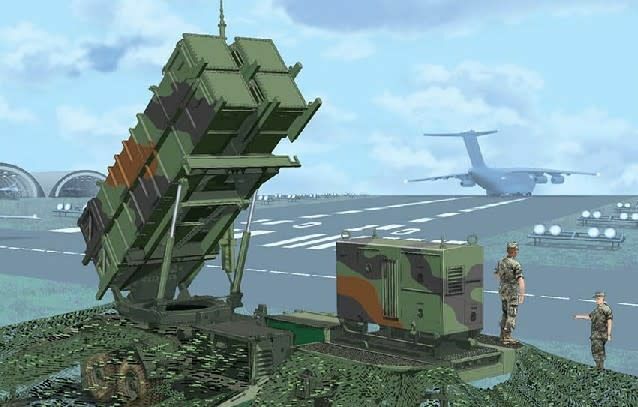 Now, the family has been completed with the release of the Patriot PAC-2 as used by the US Army and a number of other militaries around the world. The MIM-104C missile introduced with the PAC-2 was designed specifically for the interception of ballistic missiles rather than as a purely surface-to-air missile system. The PAC-2 reached US Army units in 1990 in time for deployment in the first Gulf War, and they continue to be used by many militaries. 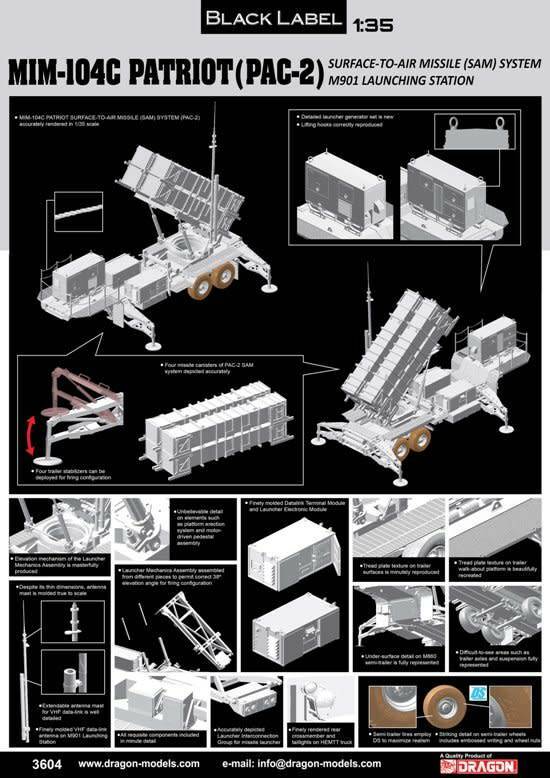 Like Black Label’s preceding kits of the Patriot air defense system, this latest one is just as impressive as it features the M901 Launching Station based on an M860 semi-trailer. 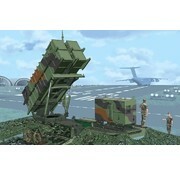 Brand new for this release is a newly tooled launcher generator set suitable for this particular Patriot version. Detail is sharply molded and all parts of the system are fully represented. Thanks to the Patriot PAC-2’s adoption by multiple countries, modelers also have a wide choice of finishes for this impressive plastic kit.